The formatting threw me off the other two goals, as I’d forgotten several gotchas I encountered the last time I did formatting for Kindle (in August, with Time’s Enemy). This time I wrote up a cheat sheet, so I will have that to refer to, and next time formatting should go much more quickly! What annoys me the most is I am a technical person, I can write HTML in my sleep (literally! ), and this stuff is supposed to be easy! My editing was more a matter of getting to it – once I did that, it wasn’t that difficult. The next few chapters of my RIP aren’t too badly wrecked, so hopefully they will go faster. I also want to get the first half of the book to betas, so they can get started. So this week’s goals are to get Chapters 9-11 marked up, which will be the first half of the book. Then I’ll need to do the type-in for all so far, and go over it a second time for style, typos, etc. My copy editor’s book is a good one for this week! 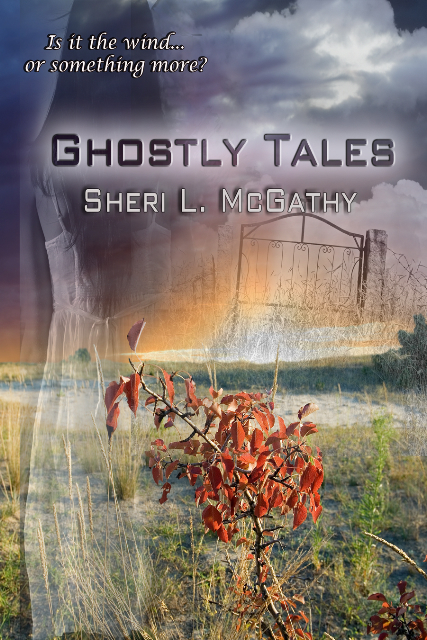 If you’d like a slightly-spooky read for Halloween, check out Ghostly Tales by Sheri L. McGathy. It’s also available at Smashwords, and will soon be on Barnes and Noble and Apple’s iBookstore. If you’re a goal-setter, how did you do last week? And good luck this week! This entry was posted in Blog and tagged author, Dayton, goals, good books, Jennette Marie Powell, paranormal romance, reading, romance, ROW80, Sheri McGathy, short stories, Smashwords, time travel, Time's Enemy, Time's Fugitive, writer, writing. Julie, Sheri designed the cover herself, I love it too! The formatting isn’t hard, but there are lots of gotchas. I got the mistakes fixed, so it’s live now! Wonderful cover! Sounds like things are coming along with the edits and formatting out of the way – congrats! well done for the week – I have put ghost stories on my lib. list for getting when finaces are better – the abode eats money!!! Thanks, Alberta! Gotta love the library- I know I love mine!